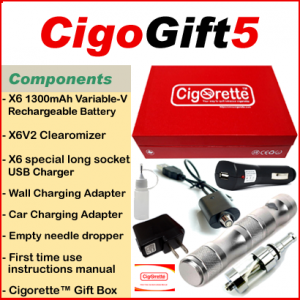 CigoKit8 from Cigorette Inc is a smart and affordable starter kit that contains a 650-mAh 0.65″ LCD battery. This battery is of a fixed voltage and 510 threading type. 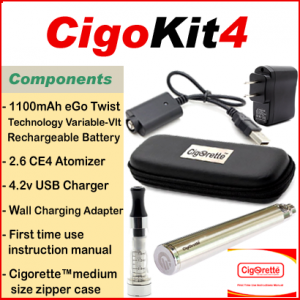 Moreover, Cigokit8 has a 2.4-ohm atomizer, 4.2 volt USB charger, and a first-time use instruction manual. 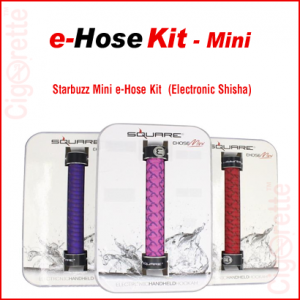 The LCD screen displays the battery available power, in addition to, the user’s taken puffs per charging cycle. 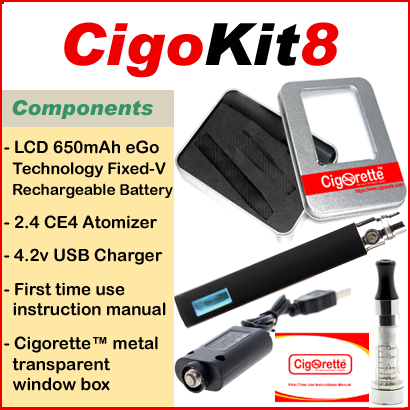 Finally, CigoKit8 is available in Cigorette™ clear window metal box. Hey Buddy!, I found this information for you: "CigoKit8". 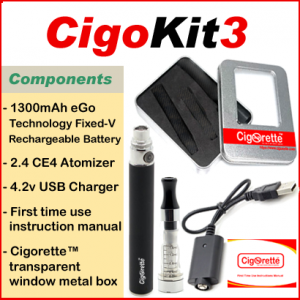 Here is the website link: //www.cigorette.com/shop/kits/cigokit/cigokit8/. Thank you.